With the holidays in FULL SWING it’s time to prep for all the holiday madness – shopping, hosting, partying, gifting, eating…the list goes on! 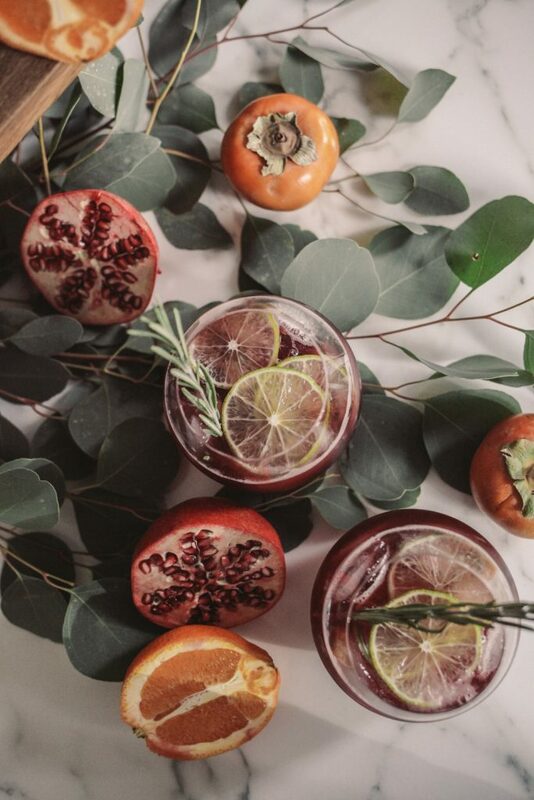 Today I’m sharing two VERY easy holiday party cocktail ideas that will win your guests over at first sip – the all involve no more than three ingredients! Well all know that the most important part of holiday hosting is the food and festive cocktails! 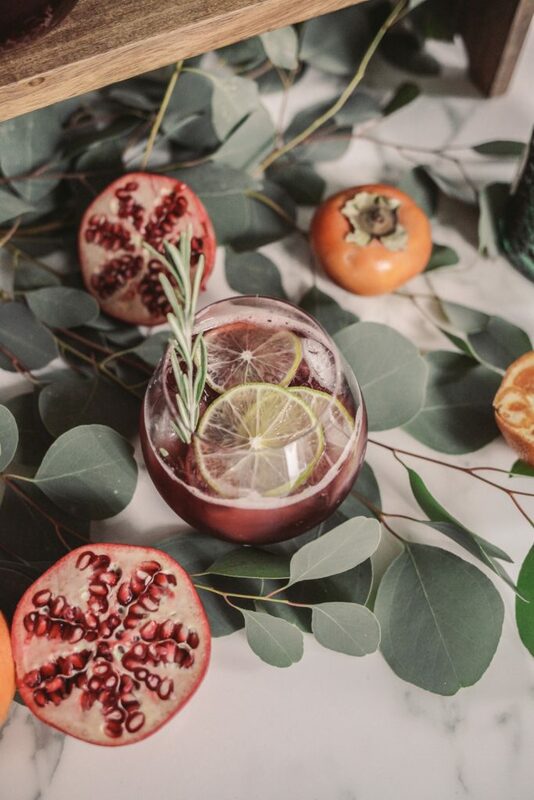 Get creative this holidays with some cocktails that taste like holiday cheer!! Scroll down to learn how to make these tasty holiday treats! – 1 Bottle of Trader Joe’s Cranberry Cocktail (they have a sparking version that makes a good cocktail! Combine all the above ingredients in to large punch bowl! I like to add to the sherbet one scoop at a time over the course of the party! You can easily make this non-alcoholic by not adding the process! This is a simple and fun recipe that can be enjoyed by all! I love using this one through the entire holiday season (i.e. Thanksgiving to NYE) cause why not? You can certainly play around with the garnishes for different flavorings or colors! Combine simple syrup, cranberry juice, and gin or vodka. Pour over ice and stir – top with ginger beer and stir again. 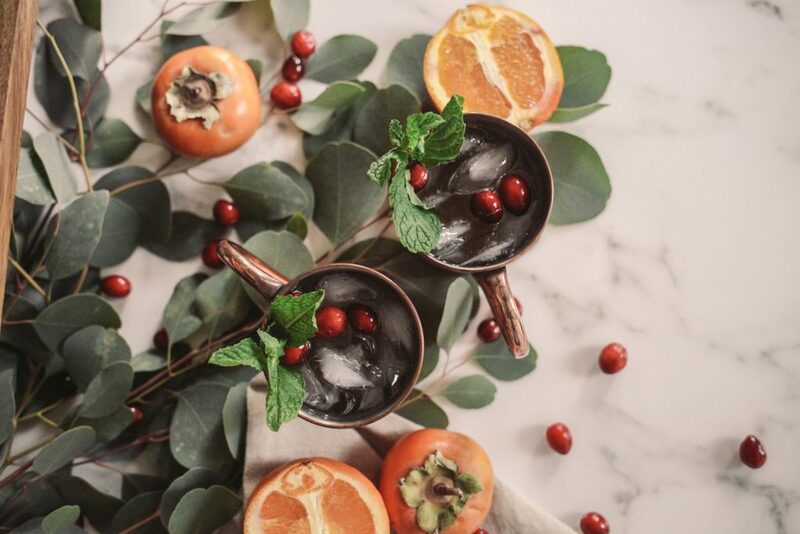 Serve each cocktail garnished with mint and sugared cranberries, if desired. 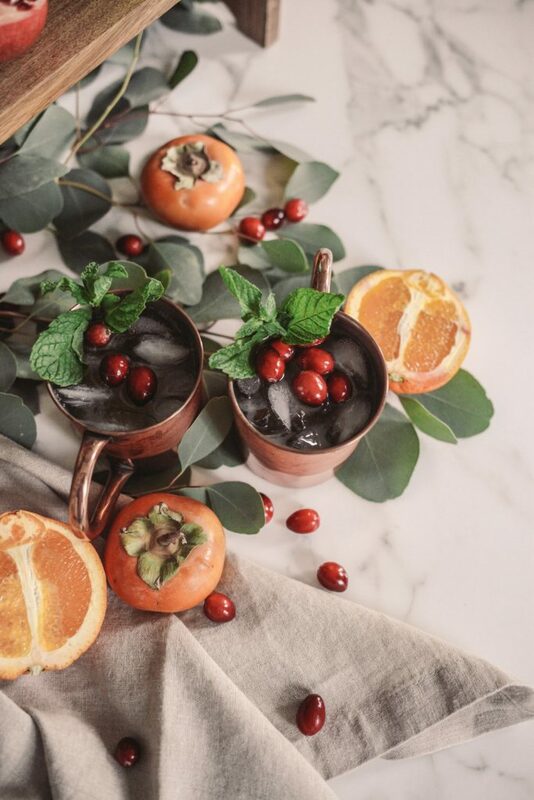 In all honestly, this is a basic Moscow mule, which is always a crowd favorite, but dress it up with some holiday garnish for a twist! 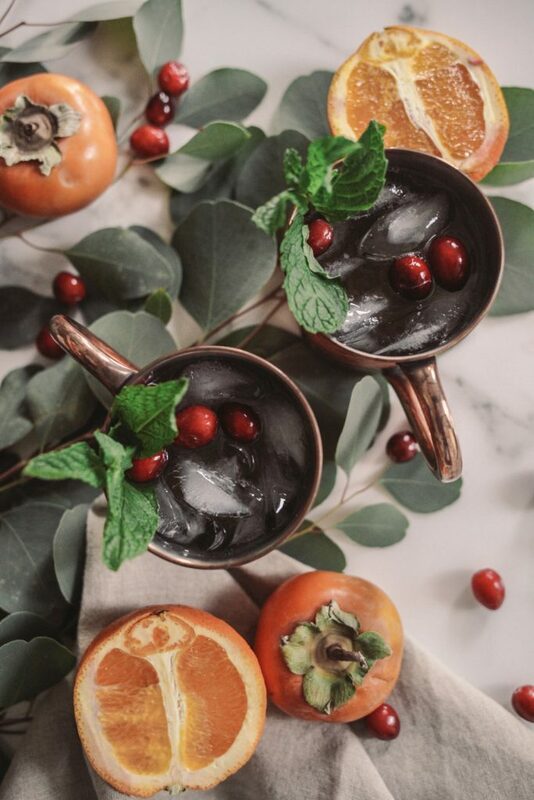 If you are looking for more cocktail inspiration, head to THIS post featuring “His and Her” holiday cocktail recipes!